It was a great question. We had to find out. 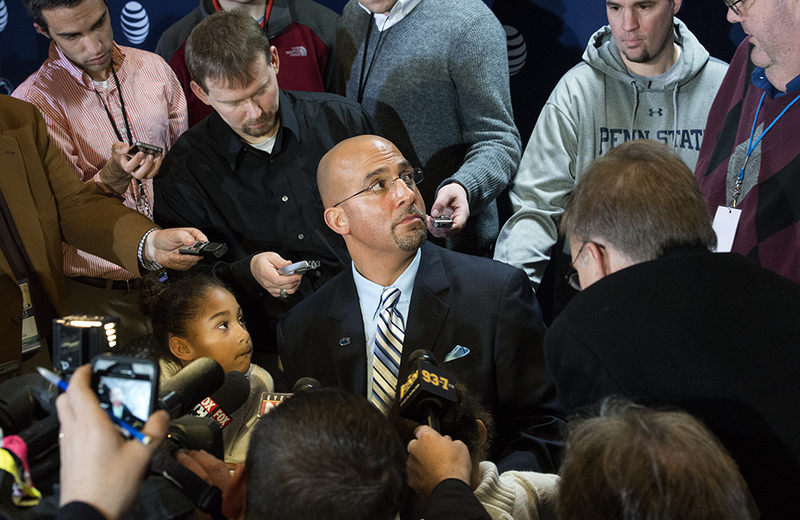 Lest that seem an invitation for those angling to be first to convince Coach Franklin to lug his helium tank to their 5-year-old’s bash in the next few weeks, we’re told that the entire coaching staff will be booked solid with recruiting duties from now until signing day on Feb. 5. In the meantime, here’s hoping fans give our new coach time to settle in. Christine, patient and organized as she is, probably wouldn’t mind a respite, either. This entry was posted in James Franklin and tagged Christine Laur, Lori Shontz. Bookmark the permalink. Before he starts coaching football it might be wise to ask Coach Franklin to take a basic review session in grammar. “Me and my wife . . .” He should be encouraged to say “My wife and I.” Not a good start for those of us who are used to an educated football coach (JoePa), in case you have forgotten.